More than 6,700 Catholic nuns are among those helping over a million people taking shelter in relief camps after unprecedented floods ravaged Kerala, a southwestern Indian state. “This is the biggest rescue and relief operation the Catholic Church in Kerala has undertaken in its history,” says Fr. George Vettikattil, who heads the church’s relief operations in the state. 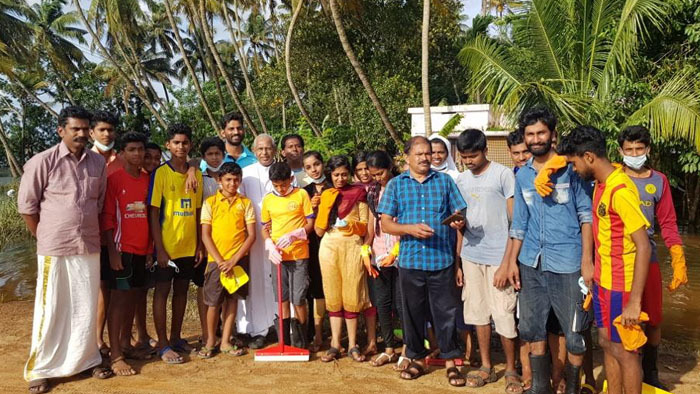 The church deployed its personnel and opened its institutions across Kerala to help people after rains and massive floods devastated 13 of Kerala’s 14 districts from Aug. 15 through Aug. 20. The rain has stopped in many places and water is now receding. The church workers, especially nuns, take care of all the needs of the camp residents, Vettikattil says. “Sisters play a pivotal role in taking care of the elderly, children, and the sick very specially,” he adds. 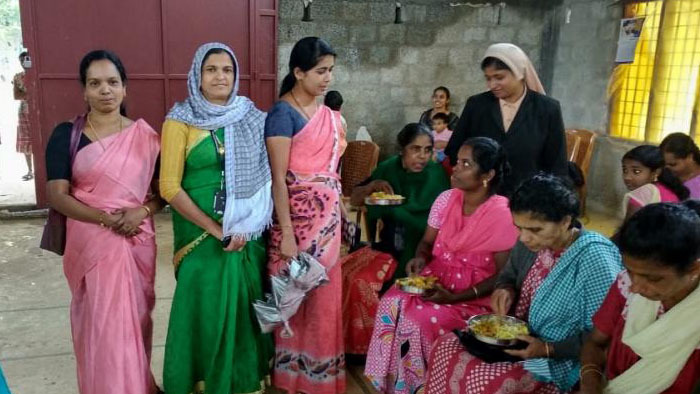 Sister Modesta, secretary of the Kerala unit of the Conference of Religious India, says all 30,903 women religious from 349 congregations in Kerala have joined the rescue and relief operations from the beginning. The state also has 2,178 religious priests and 447 brothers who have also joined in helping the flood affected. 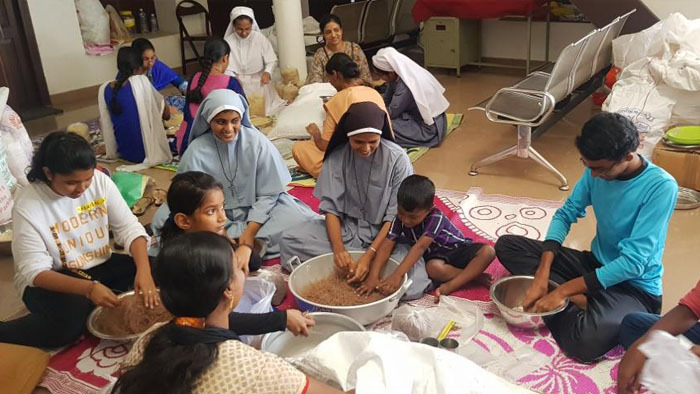 “We have formed separate groups comprising priests, nuns and brothers to clean the mud from houses of people living in relief camps,” Sister Modesta, who is a member of the Congregation of Teresian Carmelites, told GSR. “They leave in the morning and work until evening,” she added.